Catering is an integral part of the tourism business. Well they do say that the best way to the heart is through the stomach, and what better way to keep your guests happy than to feed them well? 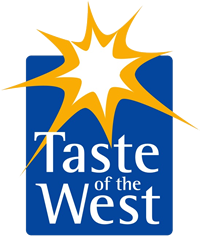 Expowest Westcountry is therefore the perfect host for the very successful Westcountry Tourism Conference. The conference is designed for anyone and everyone working in the tourism industry across Devon, Somerset, Dorset and further afield, and it takes place on the first day of the show, Wednesday 6th February. It will provide tourism businesses with the opportunity to listen to industry experts who will be offering advice on a diverse range of topics, such as increasing profitability, saving money, increasing visitor numbers, retaining returning visitors, and adding value to business brands. This year’s headline speaker is Guardian, Conde Nast and Coast travel writer Sally Shalam, who will be sharing the “Hates and Loves of a Travel Journalist”. The conference is offering special rates to members of recognised tourism and food and drink bodies, including Devon area tourism partnerships, Taste of the West and Food and Drink Devon. The event is already open for booking, so why not book your place now? Don’t forget to ask if you are a member of another body and would like to claim member rates.